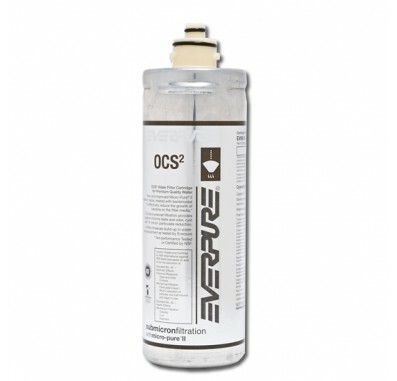 The Everpure OCS-2 for coffee systems is a sanitary quick change cartridge which is easy to install and replace. Internal filter parts are never exposed to handling or contamination. The Everpure OCS-2 features Micro-Pure II media with AgION antimicrobial protection which inhibits any potential bacterial growth. The Everpure OCS-2 coffee filter is a 1/2 micron precoat filter cartridge for low flow, low volume brewers. The Everpure OCS-2 features a unique filter blend using activated carbon which reduces chlorine taste and odor and other offensive contaminants. Reduces extra fine dirt and particles as small as 1/2 micron in size. Reduces health contaminants such as asbestos fibers and cryptosporidium and giardia cysts. Provides clear, fresh, premium quality ingredient water for consistently great tasting coffee and beverages and saves energy by reducing scale buildup. 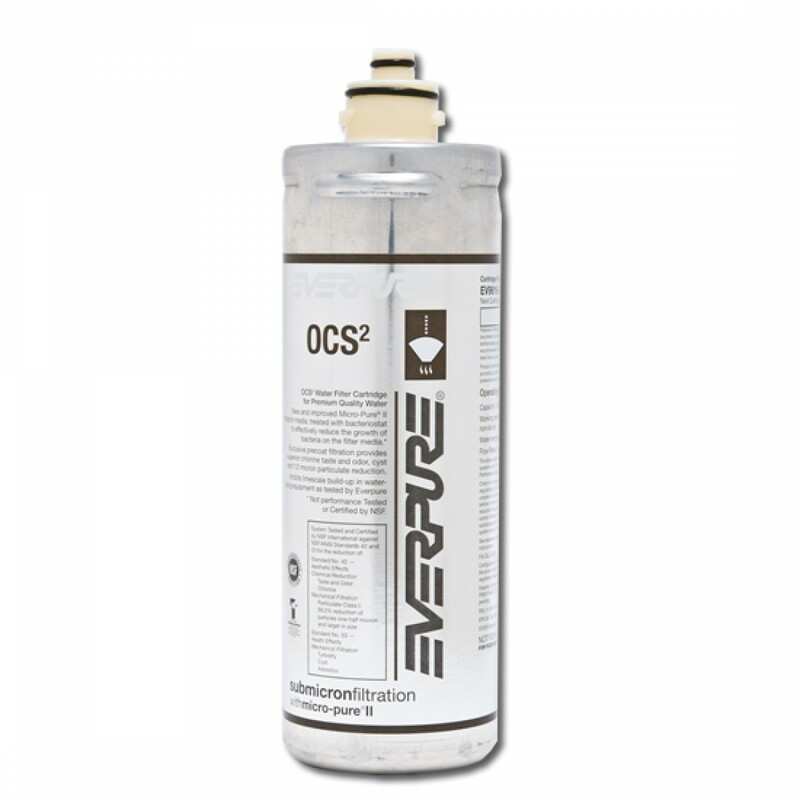 Replace the Everpure OCS-2 Filter Cartridge every 1,500 gallons. For use in the Everpure EV927560 QL2-OCS-2 Coffee Filter System.